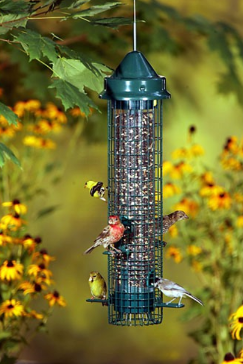 ■ High quality bird feeder that is guaranteed 100% squirrel proof. ■ Provides both a perching and clinging environment, disassembles easily for cleaning and features seed tube ventilation to keep seed fresher. ■ Easy to clean and disinfect.